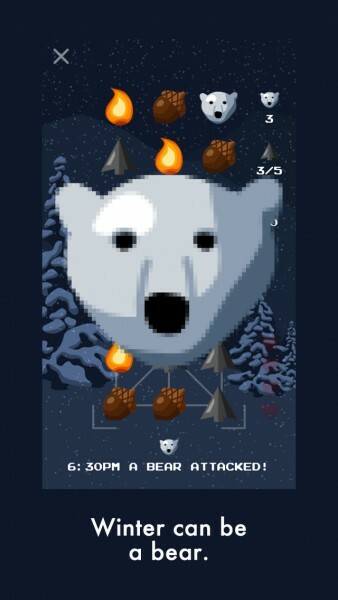 Bear Winter (Free) by Nevercenter Ltd. Co. is a matching survival game that is unlike anything you’ve played before on the App Store. 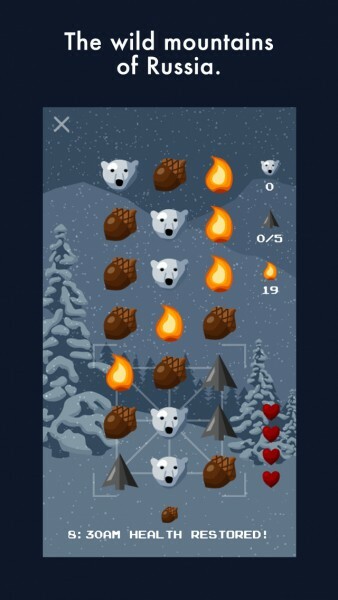 If you enjoy bite-size matching games like Hero Pop and Block Legend, then chances are you’ll like Bear Winter. I love playing games, but when it comes to iOS, I always prefer something that I can play in short bursts throughout the day, over a lengthy adventure. Usually, it’s the matching puzzle games that fit this bill, or even roguelikes. I have acquired a vast collection of these games over the years, and when I saw the trailer for Bear Winter, I was definitely intrigued. Now that it’s here, I gave it a try, and I must say, I am not disappointed. 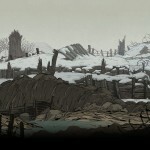 The visuals in Bear Winter are simple yet elegant, which I love. The background is dark and gloomy, which is fitting as you’re trying to survive alone in the harsh mountains of Russia, trying to find a girl. The game pieces are bright and vibrant, which contrasts nicely with the shadows. The music is soothing and the sound effects are a nice touch. Animations are smooth when the game pieces move around, but it does feel a bit jerky as you swipe to remove at least two matching resources. 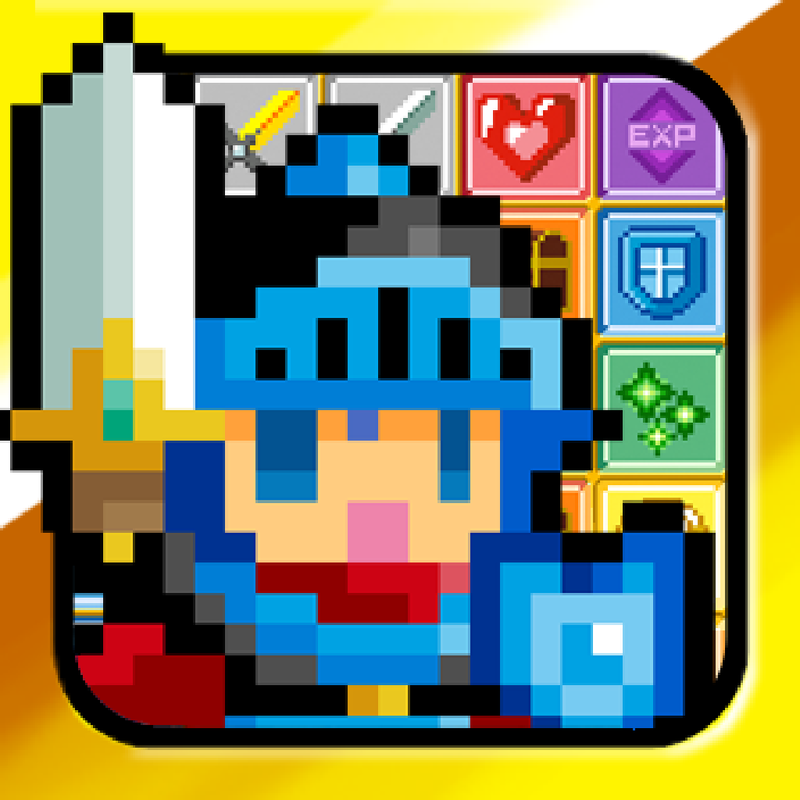 Another thing I noticed is the fact that the game does not seem to be optimized for the larger displays of the iPhone 6 and 6 Plus, because I could see a bit of fuzziness in the text and game icons. I hope the developer can optimize the game for the larger displays in an update. 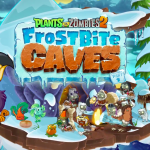 The objective in the game is to survive for as many days as you can in the rough cold of the mountains, which are inhabited by ice bears. 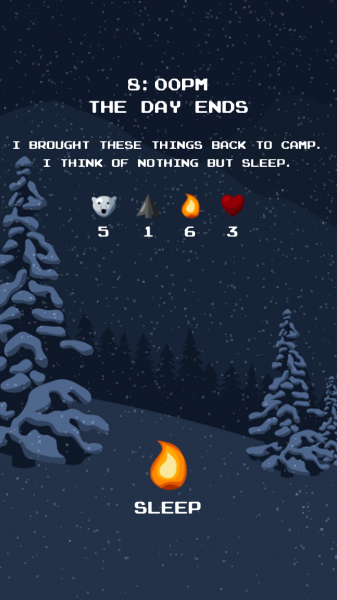 Each game you play in Bear Winter has you starting from the first day and seeing how many days you can survive through by collecting resources and capturing bears. 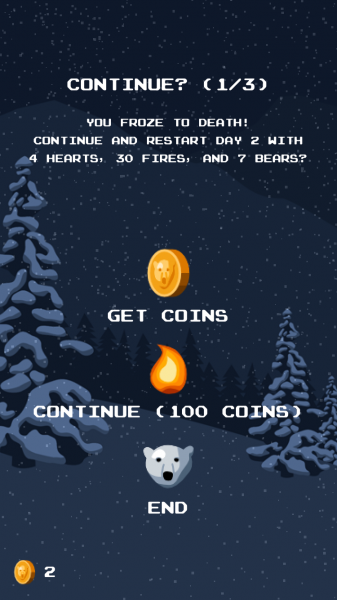 If your run out of hearts or warmth, then the game ends, though you do get the option to continue at the cost of coins. 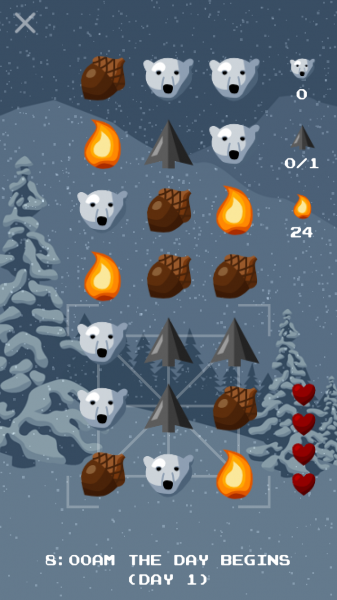 There are different resources in Bear Winter, which make up the game pieces on the grid. 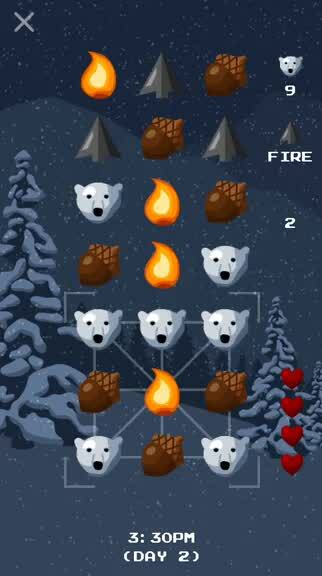 Acorns refill your hearts, fire keeps you warm, arrows allow you to attack bears, and bears can be hunted down if you get three of them in a line, or they’ll attack if you make a match with at least one bear in the line. Resources can be gathered by swiping on the line that they’re in, and you can only collect from the bottom three rows. As you make matches, more resources fall in from the top of the screen. Coins are given to you after each game, and can be used to continue games if you die. It takes a bit of getting used to, since it is not your typical matching game, and there is a lot of strategizing involved. You have to keep track of your current resources and plan ahead to make sure you get what you need to survive the night, while avoiding the bears. 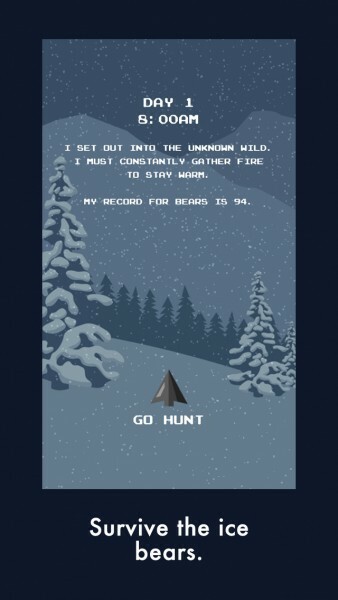 Your score is how many days you’ve survived and how many bears you’ve managed to capture. There is full Game Center integration for leaderboards, but no achievements to obtain. 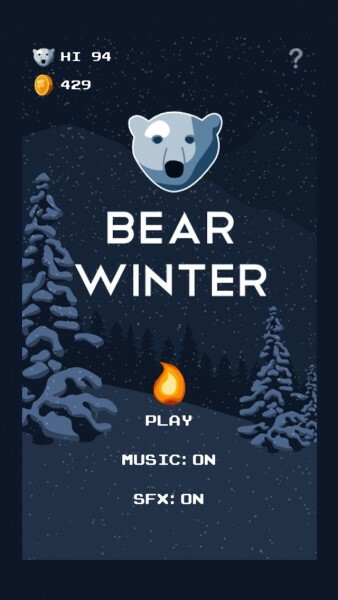 Even though Bear Winter is a free game, there are no ads in it, as far as I can tell. The only in-app purchases are for coins if you don’t have the patience to play for them, so the game relies on your matching skills. I’ve been enjoying the game a lot so far, and it’s the perfect little game to play whenever I have some spare time. I just hope that the developer can optimize the graphics for the larger displays, because the fuzziness is a bit annoying. 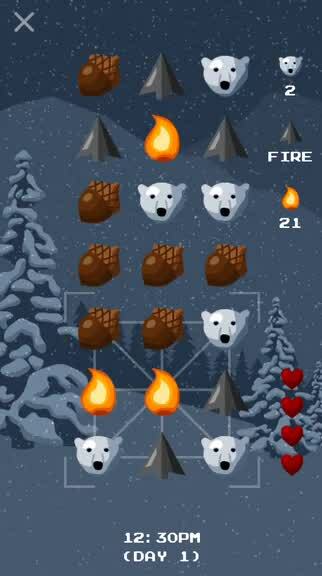 I recommend checking out Bear Winter if you are a fan of unique puzzle survival games. 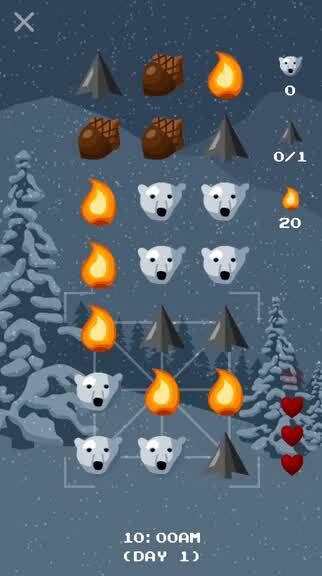 You can find Bear Winter on the App Store as a universal download for free with in-app purchases.